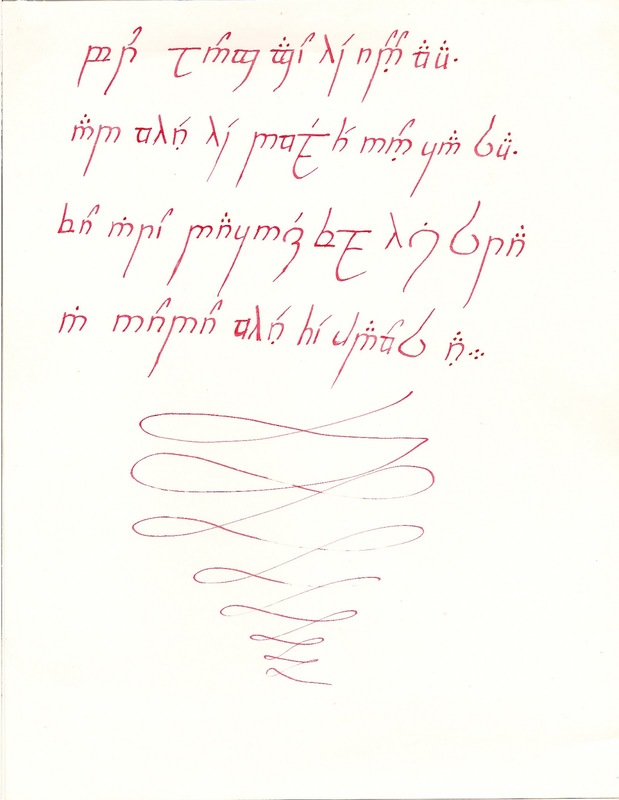 I would like to think that, if Tolkien's elves had access to fountain pens, they would use them exclusively, though dip pens might be more realistic, given their time period. 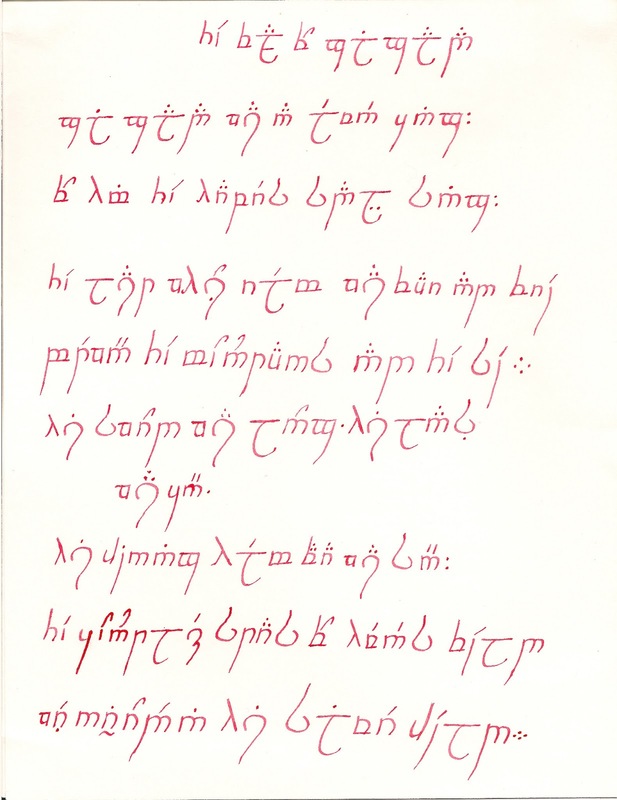 This writing sample is actually from several years ago, and it was something that I found, while working on a writing sample, which will go live next Saturday! 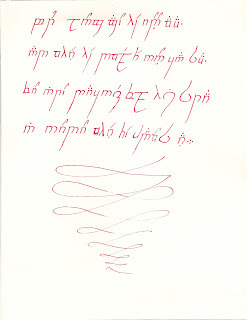 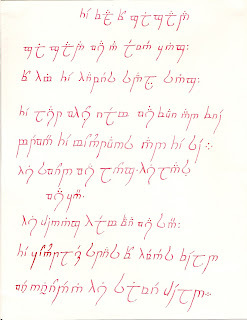 (For any Tolkien linguists in my reader base, I would like to disclaim that there may be errors in transcription!